Jennifer Crook is Head of Diversity and Inclusion at the House of Commons. Her previous roles include lecturing in education at Anglia Ruskin University before she moved into diversity and inclusion roles at organisations including the Department for Work and Pensions and the National Police Improvement Agency. 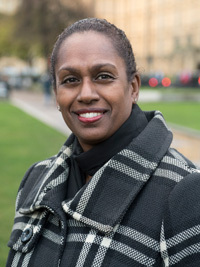 Jennifer studied history at the University of Oxford, in addition to gaining her PGCE (postgraduate certificate in education) and a Master’s degree in Race and Ethnic Relations from the University of London. I am one of those fortunate people who absolutely loves their job. I started my career as a secondary school history teacher, I moved to Morocco and taught English, then came back to the UK and lectured at a university, where I took on greater responsibility for the human rights, equality, diversity and the inclusion agenda. I spent an extensive period carrying out research into cultural behaviour in Japan and America. At that point I made the move into human rights, equality, diversity and inclusion work as I was passionate about the issues. I was seconded to what was then the Department of Education and Employment and then went back to the States on a secondment to the United Nations. Back in the UK, I worked for the National Police Training College and spent time in Northern Ireland, Iraq and Afghanistan. I then worked as Head of Equality and Community Cohesion at Brent Council and at a faith based charity. I see myself as a change agent so my day to day job involves working to continue to build the momentum around diversity and inclusion. A great deal of work has been carried out and I am currently working on the Diversity and Inclusion Strategy for 2019 – 2022. I work closely with the House Workplace Equality Networks. My team has responsibility for several targeted talent management initiatives including apprenticeships, the Speakers Parliamentary Placement Scheme and the House BAME graduate internship programme. 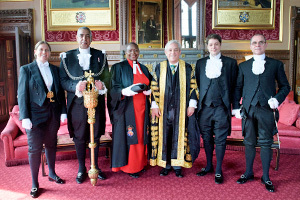 The role of the House of Commons Service is to support a thriving parliamentary democracy. My daily work is to ensure that diversity and inclusion remains at the forefront of all that we do. The House of Commons is a unique organisation. The Parliamentary Estate includes Members of Parliament and their staff, peers and their staff as well as the staff of both those Houses. The Diversity and Inclusion team provides expertise and advice. However, everyone is responsible for diversity and inclusion. All House Staff have a diversity and inclusion objective and the work is mainstreamed into business as usual activities. The board have ultimate responsibility and the Speaker of the House leads and champions this work. The House needs to keep looking ahead to the future, and we are working to ensure that the House is a great place to work for everyone and that we foster the skills of a diverse workforce. Our change programme also includes harnessing digital opportunities, ensuring that our buildings are inclusive and secure and that we spend money wisely. The House of Commons was included in the Best 100 employers for the 2017 Business in the Community Race Equality Awards. By using our data and evidence base we have developed targeted initiatives and programmes, and the work is supported by ParliReach, our workplace equality network which focuses on race, ethnicity and cultural heritage. ParliReach has developed an innovative reverse mentoring programme, which pairs up BAME colleagues with senior leaders including our board. The more junior colleague then acts as a mentor highlighting barriers and discussing opportunities for Parliament to work more inclusively. In return, the senior leader provides advice and support on issues such as career progression. We are working on a Diversifying Senior Leadership programme, which will ensure that our future leadership is diverse. We are putting in place diverse recruitment panels, we have introduced both internal and external recruitment for senior roles, we are working on ensuring that we have diverse shortlists, and we have introduced learning and development to challenge unconscious bias. 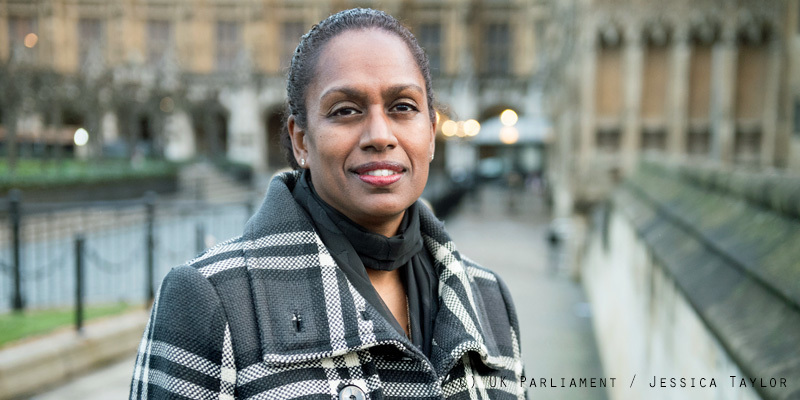 As part of the Speaker’s BAME Challenge we are working with 60 organisations to access the widest pool of BAME talent and we are developing a practical toolkit. Alongside these initiatives we have our internship programmes as mentioned above. BAME women are still wrongly defined through stereotypes. We are in the 21st century but when it comes to gender and ‘race’ it’s like the earth is still flat. Black women are judged on what they look like, what they say, and how they say it. The challenge is how to overcome the stereotypes without falling into them, to find balance and our authentic selves when people want to box you into their perceived notions, to recognise that BAME is a statistical category and that it contains within it diverse cultures, ethnicities and nationalities. The challenges are getting people to really see you beyond the stereotypes as a real person and to trust you. I am a firm believer in hard work and pursuing your dream. Westminster, Parliament and the House of Commons are for everyone. I believe wholeheartedly that democracy is stronger when it is inclusive and reflects all the people it seeks to serve. My advice would be to become the best of you that you can. Study, travel, broaden your horizons, become an expert in your chosen field, then bring all of you to Westminster, past, present and future. Be yourself, be proud of where you came from, be who you are, and be willing to learn and grow. For me, my children are moving into the teenage years and that is a country I have not visited for a long time. I love my job and will keep trying to pursue excellence and be the best I can be. There is a nearly completed novel, waiting for a last chapter that I need to write. It’s an exciting time in the House and I am relishing the journey over the next few years, with a new strategy and clear focus on what we need to do, when and how.